We were booked by a local events company to provide a massive white starlit dance floor at the Prince & Princess Hall wedding venue in Edmonton, north London. Please note that we DO NOT own this venue! If you wish to make a booking please contact the venue directly! We were booked to simply provide a huge dance floor, however the tables had encroached onto the dance floor space and so we used the extra dance floor panels that were left in the vans to make the starlit walkway which greeted guests as they came into the venue. The client was delighted and the dance floor was full of dancers all night with both a band and a DJ playing throughout the evening. 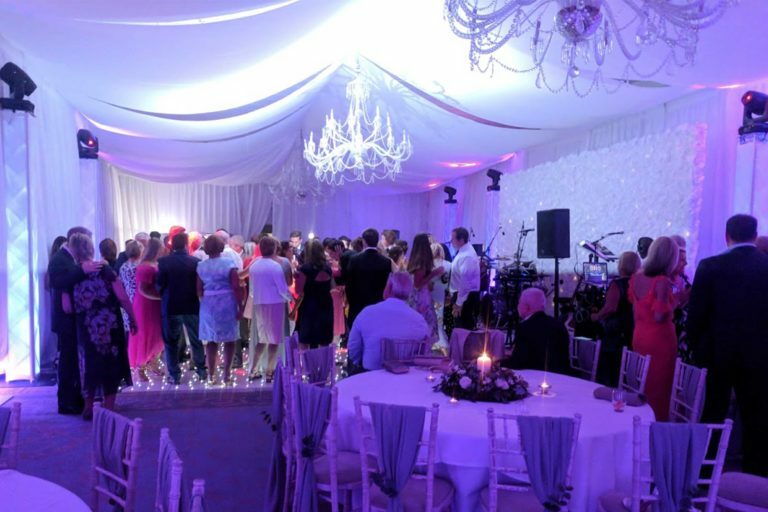 The white starlit dance floor was set to a slow twinkle throughout the event, our most popular setting for the dancefloor. 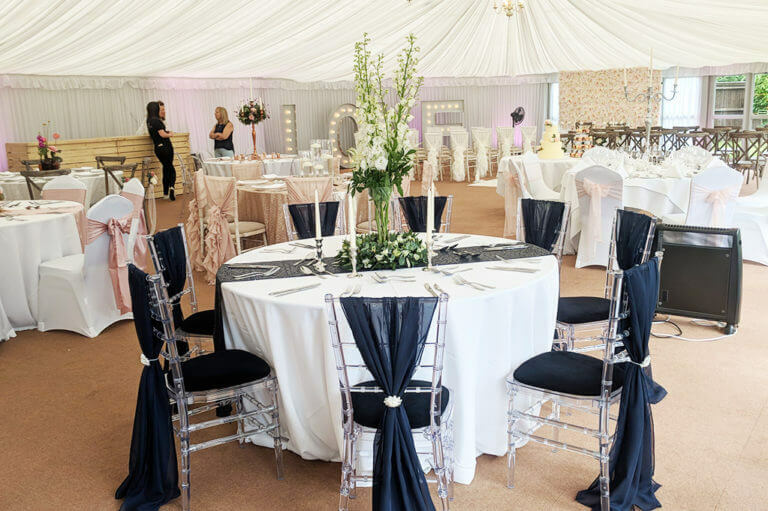 To find out more about booking any of our products or services for your wedding at the Prince & Princess Hall please don’t hesitate to pick up the phone and give us a call on 0116 2029953, or simply send us an email. We look forward to hearing from you.